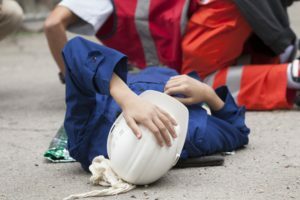 Home » I Was Injured at Work, Do I Get Workers’ Compensation? Pennsylvania’s workers’ compensation system allows injured workers to quickly access benefits when they have been injured on the job. Workers’ compensation benefits are “no fault,” which means that a worker qualifies for them even if he or she is to blame for the accident. One advantage of workers’ compensation is that you can get reasonably necessary medical care at no cost to you. You might also qualify for disability benefits if you are too injured to keep working. Below, we will discuss what you need to do to see if you are entitled to receive workers’ compensation benefits. Workers’ compensation insurance is mandatory in Pennsylvania, so your employer should carry it. You are covered regardless of whether you are a full-time or a part-time employee. Of course, your employer might have refused to purchase it or have neglected to pay premiums. Also, very large employers can choose to self-insure. Nevertheless, after an on-the-job accident, report it to your employer as soon as possible as follows. They should tell you whether they have insurance. If not, you might qualify for benefits under the state’s Uninsured Employer Guaranty Fund. To qualify for workers compensation benefits, you must have an injury or illness caused by your work. This does not mean you have to be injured while at your job-site. For example, if you must travel as part of your job, you could suffer an injury while out on the road. Generally, an injury is covered if it happens during the normal scope and course of your employment. An injury caused by intoxication might also not be covered. What Kind of Benefits Can You Receive? Reasonable medical care to treat your illness or injury. This includes medicine, assistive devices, supplies, and hospital treatment for as long as necessary. Wage replacement benefits, if you are totally disabled and cannot work or are partially disabled and receive less in wages than you did before your injury. Specific loss benefits, which compensate you for the permanent loss of a body part, such as your hand or foot. If a loved one dies on the job, then surviving family members can receive a death benefit. Can You Sue Your Employer in Pennsylvania? We regularly receive some variation on this question: “Can you sue your employer?”, “Is suing a company for injury possible?” etc. The answer, unfortunately, is no, you cannot sue your employer. Workers’ compensation benefits are helpful because they are no-fault. But as a downside, they prevent suing the employer for injury in most situations. There are however, exceptions, such as if your employer never bought workers’ compensation insurance. But the exceptions are narrow. Not being able to sue matters because workers’ compensation benefits are not very generous. For example, you will only receive a portion of your lost wages if you are totally disabled—roughly two-thirds of what you used to earn. If you made $600 a week, you can usually only receive approximately $400. This represents a steep decrease in income for most injured workers. Also, some benefits last for a limited amount of time. For example, partial disability benefits are paid for only up to 500 weeks. After that point, you won’t receive any more compensation—even if you can’t get back to work. For young workers, this also represents a significant decrease in income. Can You Sue Someone Else Responsible? Yes. You can bring a lawsuit against any other third party, person or entity other than your employer if they contributed to your injuries. For example, you might travel for your job and get involved in a truck accident. You can bring a lawsuit against the negligent truck driver and/or the trucking company for compensation. Some of our clients are also injured by defective equipment on the job. If a blow torch explodes in your face, causing burns, you can sue the manufacturer of the device that injured you. Bringing these types of lawsuits is helpful because you can receive full compensation for all of your harms and losses, including lost wages. Instead of settling for skimpy workers’ compensation benefits, you can obtain a settlement that is truly fair and just. As a small Philadelphia boutique personal injury law firm, we can devote more attention to our clients’ cases than many of the city’s larger law firms. Our track record is impressive, and we have helped many injured victims get fair and just compensation for their injuries, losses and harms. Please call Phillylaw today at 215-515-2050 or submit an online form for a free consultation.